Get affordable deals on shower seats and benches. Find a tile and preformed shower niche, triangle and preformed shower seat, and more at Tile Pro Depot. When installing a tile shower, it can be labor intensive and time consuming – when it’s done right. As a tile layer, if you’re able to do the same quality of work in a shorter amount of time, you jump on that opportunity every time you can. That’s where a preformed shower niche, seat, or bench can come in handy. 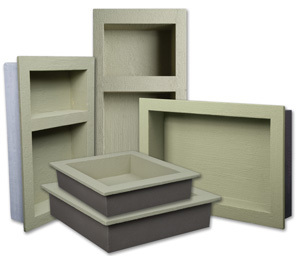 At Tile Pro Depot, we carry a number of ready to tile preformed niches to make your shower installation job easier. Whether you’re looking for a combo shelf, a soap shelf, a mega shelf, or a square or narrow shelf, we carry everything you need to ensure your niche needs are met and your client is satisfied. An assortment of niches can be installed and configured to create a truly custom shower that not only allows for extra storage, but can act as a focal point. 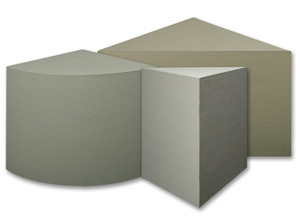 These niches are constructed from high-density expanded polystyrene, and are lightweight yet durable. They come tile ready with a factory applied waterproof finish. 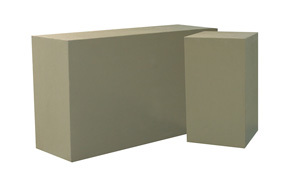 Simply cover with thinset and install the tile as you traditionally would! At Tile Pro Depot we not only carry a variety of shower niches to suit every design need, but we also carry preformed shower seats and benches. These preformed pieces allow your customer to truly customize their shower, all the while saving the installer time and effort. When utilizing a preformed tile shower niche, bench, or seat, you’ll be sure to work more efficiently, quickly, and smartly. If you have any questions about any one of our preformed shower niches, seats, or benches, feel free to contact us. We go above and beyond to assist our customers, and we aim to be your one stop shop for all things tiling.